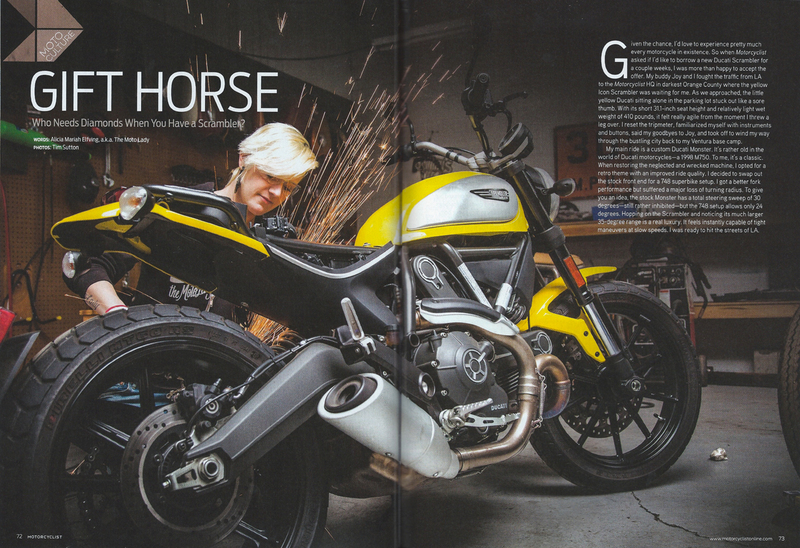 Behind the scenes goodness from the Motorcyclist Magazine + MotoLady Ducati Scrambler article and photoshoot. 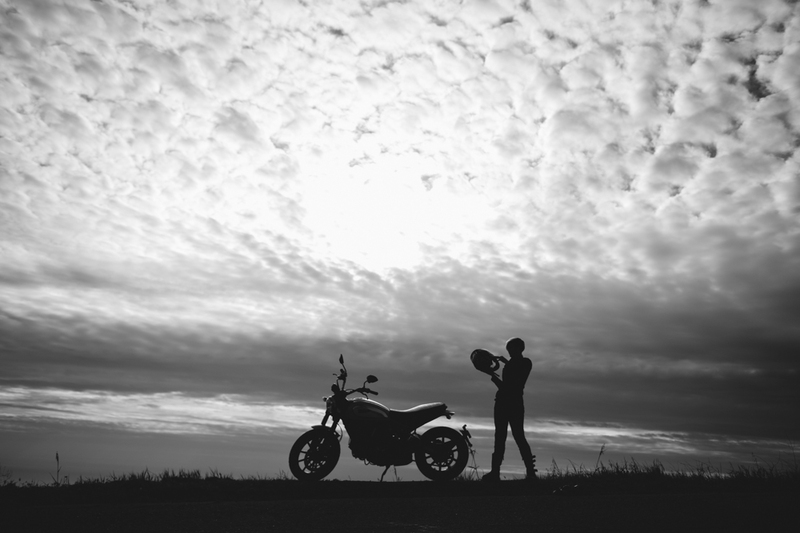 One of my favorite shots from the recent photoshoot Joy and I did with Dylan Gordon in Santa Baraba on the Ducati Scramblers! 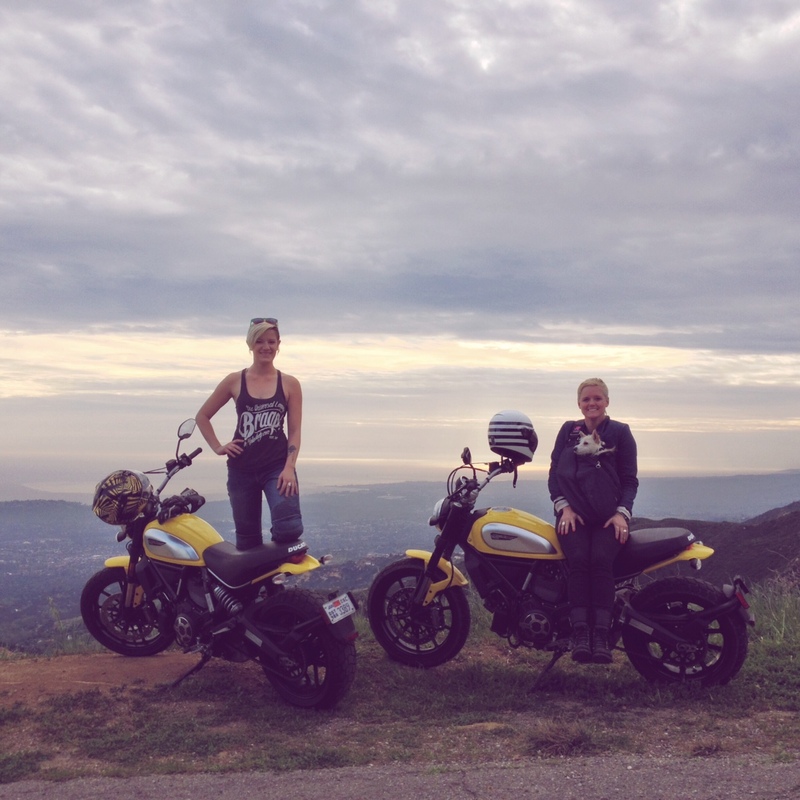 Joy and I rode our borrowed Ducati Scramblers up to Santa Barbara yesterday for a photoshoot. We got into some trouble with the Police on the way, but the shoot went brilliantly. 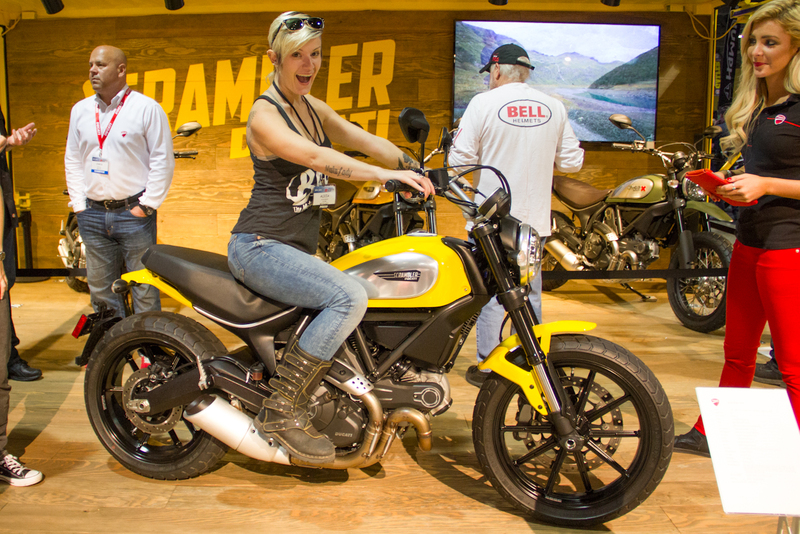 I was a little excited about the Ducati Scrambler, though yellow is clearly not my color. It’s been a few weeks since the 2015 Progressive International Motorcycle Show in Long Beach (November 13th weekend) but I wanted to share some of my photos anyway. It was a whole lot of fun, so many cool things to see!